To increase our capacity and to further assist our customers for collections and deliverys, Rotable Repairs has added another sign written van to its fleet, the additional Citroen Relay is identical with the exception that we have included the Luton Box with a side curtain to accommodate pallet side loading. 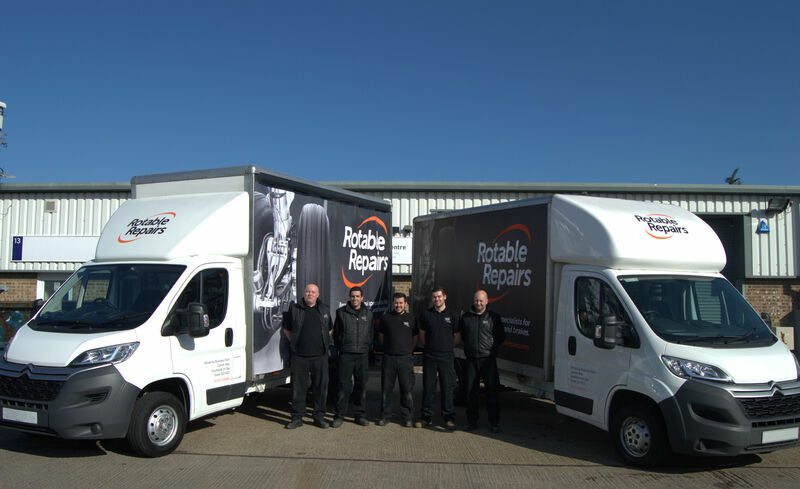 Rotable Repairs currently offers to collect and deliver to its customers sites free of charge for all London Airports and the South East of England subject to availability. Following a successful two years of support, Titan Airways has signed up for another three. The per maintenance event contract offers great value, located consignment stock and free delivery and collection between all London Airports from its increasing fleet of vehicles. or call us on +44 (0) 1702 529888. Rotable Repairs are excited to announce the delivery of a large quantity of Boeing 737NG main wheels coming to our UK based facility soon. The units are currently going through our workshops to be released overhauled with a fresh dual release at competitive rates. The wheels are scheduled for early October 2016 and we encourage those interested to get in contact as soon as possible. or call us on +44 (0)1702 529888. We would like to welcome experienced Sales Manager, Jordan Whibley to Rotable Repairs Ltd.
Jordan joined the Rotable Repairs Sales Team in August 2016 and has since shown a strong commitment to customer service, a savvy sales presence and a willingness to develop customer relationships. With an extensive sales background and a wealth of knowledge of the Aviation sector Jordan looks to capitalise on his strong industry experience to help bolster the effectiveness of the sales team and develop the overall customer experience we provide. Jordan’s previous experience includes AOG Sales Management with a well-known UK based corporate parts supplier. We wish Jordan all the best as his career develops within the company. Aircrafters, Inc., a New Castle, Delaware based leading supplier of commercial Aircraft Wheels and Brakes and Rotable Repairs, a South of England based Aviation Wheel and Brake repair specialists agree on an exclusive stocking agreement. The long-term and exclusive consignment agreement provides both companies with the ability to offer key benefits to their European customer base, which includes a significant inventory of lucrative and relevant materials, serviceable parts and new advance exchange options when urgently required. The new agreement allocates Rotable Repairs exclusive rights to a large inventory managed out of their own Southend-on-Sea based facility, enabling them to access a pool of wheel and brake materials from the likes of Goodrich, Messier and Honeywell, whilst servicing a range of aircrafts such as B737’s, B757’s, B767’s, A320 and A321. Aircrafters will experience a passive increase in sales and access to a previously undeveloped European customer base, allowing them to provide materials into Europe through more logistically sound means. The agreement was signed off during the Farnborough International Airshow 2016 and is worth an estimated 4 million USD in total. Rotable Repairs, formed in March 2002 have been dedicated to Aviation Wheel and Brake Services and is committed to delivering high quality, cost effective products and services to Airlines, Hangar Facilities and Stockists. Our team of staff is available to offer a friendly, professional service that is based on an experienced understanding of the aviation industry. Aircraft Wheel & Brake Specialists Rotable Repairs build on their recent workshop production improvements by purchasing a new Veescan H – Eddy Current Aircraft Wheel Inspection System. 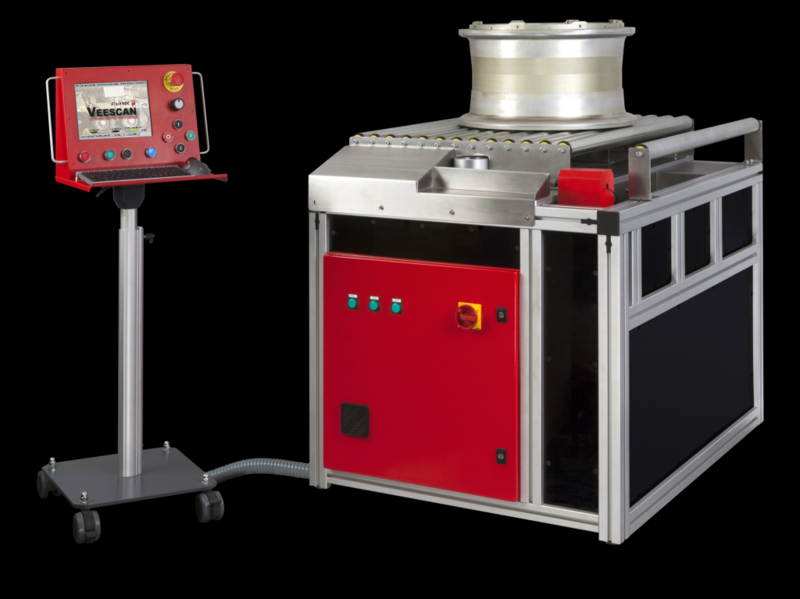 The Veescan H is a Wheel Inspection System able to be configured with a wide choice of probes and provides the flexibility to select the system most compatible with the required workload. Teamed with a full choice of operation modes, the Veescan H maximises the probability of automated crack detection. By the same token the new equipment has provided Rotable Repair’s NDT (Non Destructive Testing) department with the ability to provide customers with a more detailed inspection report and an increase in hub inspection capacity. The current NDT (Non Destructive Testing) team have internally supported Rotable Repairs by supplying accurate and detailed inspections for over 41 years combined. In addition to the new equipment the Non Destructive Testing unit has been a part of a companywide improvement scheme to create additional space within the workshop, providing the inspection staff with an additional 40% increase in usable space. Visit Rotable Repairs at the up-coming Global MRO Procurement Expo AP&M Europe on stand #G14 on Wednesday 1st June 2016 at the Olympia, London. Dedicated Aviation Wheel and Brake specialists Rotable Repairs soar through the New Year following exciting news regarding the signing of a new tri-party contract with Sprint Air. The Warsaw based Airline Sprint Air have signed a 10 year component maintenance agreement with Rotable Repairs and wheel and brake manufacturer Safran Messier-Bugatti-Dowty to support their increasing fleet of ATR 72’s. Messier-Bugatti-Dowty is the world leader in carbon brakes for commercial airplanes, with a 51% market share in this sector. As an OEM providing technical support for some 25,000 aircraft worldwide, Messier-Bugatti-Dowty calls on a complete range of maintenance repair and overhaul (MRO) solutions to support fleets of all types of aircraft, whether new or already in service. Sprint Air has been rendering specialist air transport services for nearly 13 years. Their main areas of our business include air cargo services, scheduled passenger carriage, air charters operations, aircraft maintenance as well as the training of pilots and aviation security officers. The recent opening of the Rotable Repairs Logistics Centre located a mere 0.3 miles away has allowed for an increase of dedicated contractual work and innovation within all internal workshops, which in turn has shown refined work-flow within all areas of production. 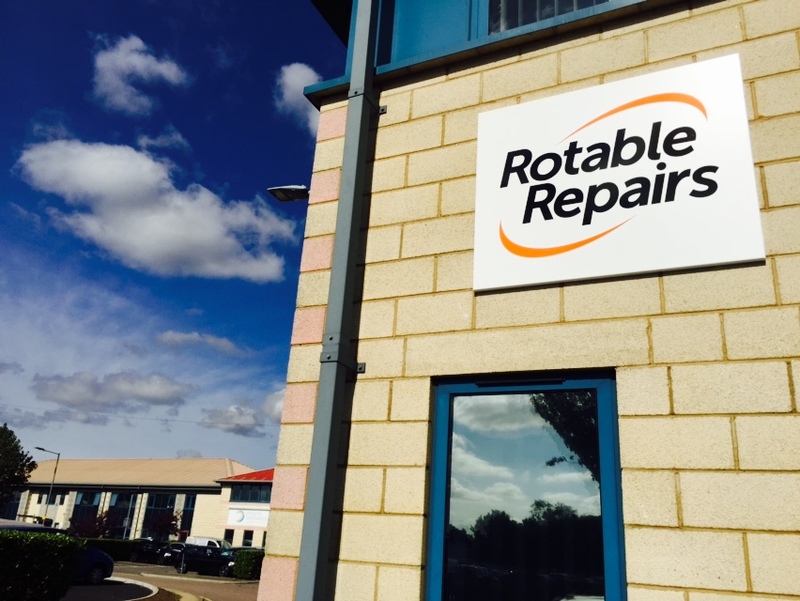 Rotable Repairs, formed in March 2002 have been dedicated to Aviation Wheel and Brake Services and is committed to delivering high quality, cost effective products and services to Airlines, Hangar Facilities and Stockists. Their team of staff is available to offer a friendly, professional service that is based in an experienced understanding of the aviation industry. 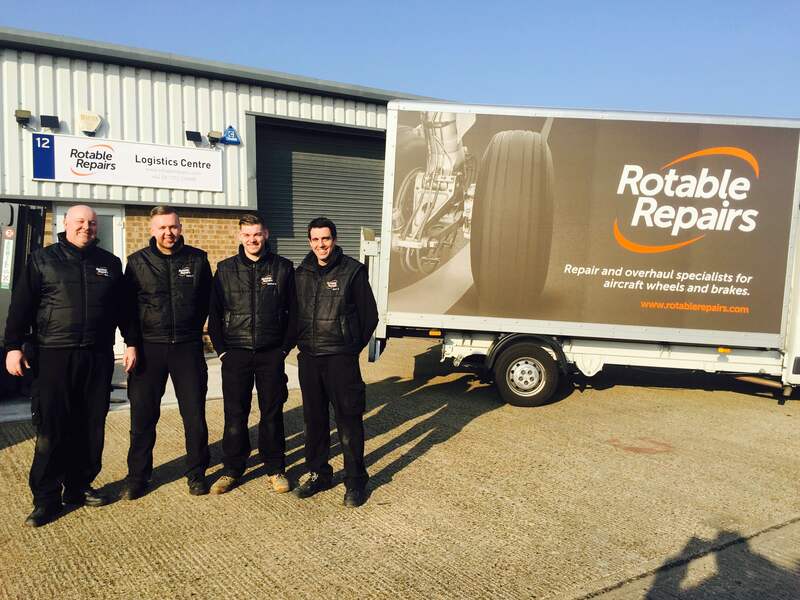 Aircraft Wheel and Brake specialist Rotable Repairs have relocated their Goods Inwards and Dispatch areas to a newly merged and refurbished Logistics Centre. The additional facilities have now allowed us to move our on hold work in progress, serviceable and unserviceable materials to this easily accessible site. This reconfiguration will see an increase of space in our Wheel bay by 40%, Brake bay 20%, NDT 40%, and Cleaning Bay 40%. We are very much taking into consideration the additional workloads seen last year and the processes and equipment needed address this years predicted volumes. Need directions? 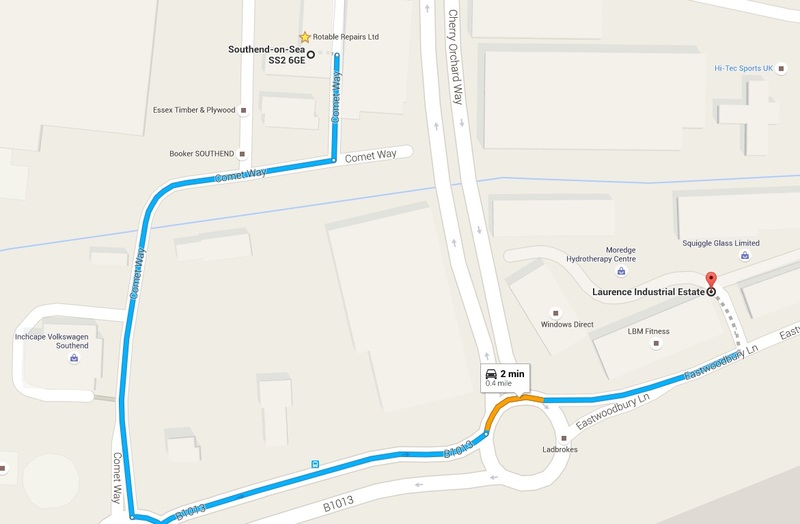 Click here for a Google Map showing the route between the Rotable Repairs main site and the Logistics Centre. Rotable Repairs Limited has full Dual EASA / FAA capability to repair and overhaul the listed hydraulic fuses below, we also have stock on a number of these fuses, enabling us to offer good rates on advance exchange units if required. Independently owned EASA Parts 145, FAA Part 145 and TCCA Transport Canada approved repair station Rotable Repairs set their sights to the future following an exciting re-brand during a bountiful 2015. Bryan Croft, appointed the position of Sales and Marketing Director in 2011 has helmed the project throughout the transitional period, in an attempt to provide a stronger visual impact, sense of brand awareness and a new respect for brand continuity throughout the company. The re-brand was the result of a creative partnership between Rotable Repairs and Design Agency, Page Creative, Based in Basildon, Essex. The Aircraft Wheel and Brake Specialists have since seen an influx of additional out-of-season work, allowing the extension of their new brand to cross a range of mediums such as an overhaul of on-site signage, branding materials, vehicle graphics, brochures and an up-dated stand for their upcoming attendance at MRO Europe on Wednesday 14 October 2015. Dedicated Aviation Wheel and Brake specialists Rotable Repairs look to leave 2015 on a high-note after landing an exciting two-year contract with British charter airline Titan Airways. The two-year long contract is the result of an on-going successful relationship spanning over more than two years, which is now solidified by a dedicated promise of quality and responsive service from Rotable Repairs and will develop into an increased volume of serviceable Aircraft Wheels and Brakes work throughout the contracted period. Since it’s foundation in 1988, Titan Airways has grown into the UK’s most prestigious charter airline specialising in VIP and corporate travel as well as airline sub charter and aircraft leasing. It brings the very best standards of care and comfort to all its passengers. Titan’s modern, reliable aircraft can operate from all major international and regional airports day and night, 365 days a year. The Aircraft Wheel and Brake Specialists continue their out of season success through 2015 as they expand on their busy EASA Parts 145, FAA Part 145 and TCCA Transport Canada approved repair station by opening additional storage units, allowing a greater flow in production processes and an increase in capacity. Rotable Repairs, formed in March 2002, have been dedicated to Aviation Wheel and Brake Services and is committed to delivering high quality, cost effective products and services to Airlines, Hangar Facilities and Stockists. Their team of staff is available to offer a friendly, professional service that is based in an experienced understanding of the aviation industry.